The blend of wood fired, natural evaporation, and a bountiful sugarbush of healthy maple trees, results in a pure and delicious maple syrup that the Morse family is known for. 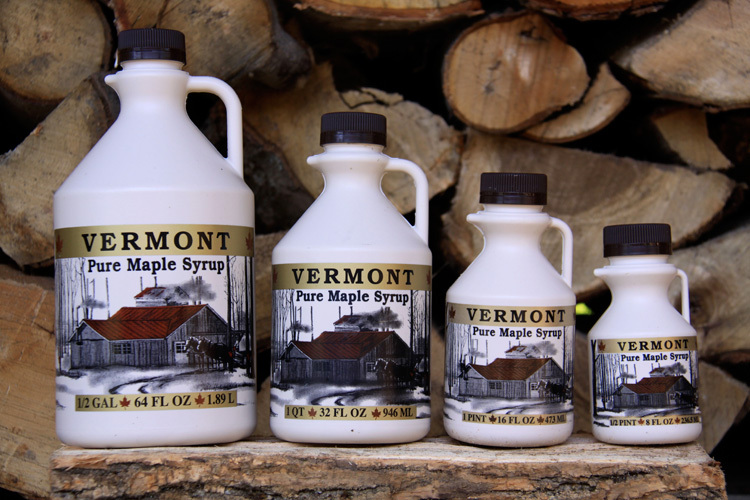 Would you like to learn more about why Vermont syrup is rated the best in the country? Our tastes of course vary and the grade of maple syrup that you prefer is completely dependent on you. But it's our opinion that you can't go wrong. Vermont Fancy Grade - "Vermont Fancy"
Light Amber color, delicate maple bouquet. Delightfully mild maple flavor, excellent on ice cream or on foods, you'll appreciate its subtle maple flavor. Medium Amber color with a pronounced maple bouquet. This grade has the characteristic maple flavor that makes it popular for table use. Dark Amber color with a robust maple bouquet. This grade has a rich and full maple flavor and is very popular for table use. The strongest and darkest table grade maple syrup. This is the Cook's Favorite. Its strong maple flavor, make it the best grade for cooking. You can learn more about Vermont maple syrup grading here.